On the + side: Happy hour every night and the Evening Reception given by the director where every guest can enjoy drinks and snacks. 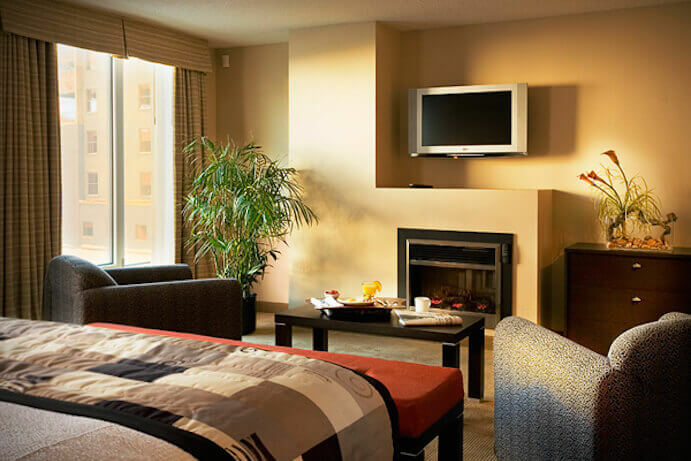 A classic hotel with contemporary style, the Embassy Suites Montreal stands out from other hotels of its category as it only offers suites. 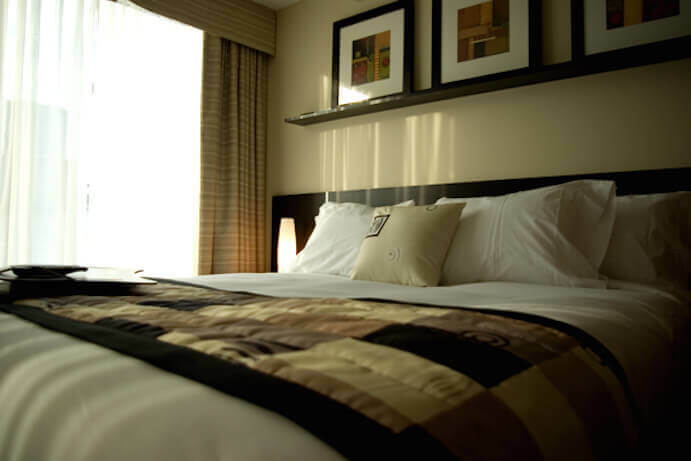 The establishment counts 190 spacious suites with one or two closed rooms and a large living room. 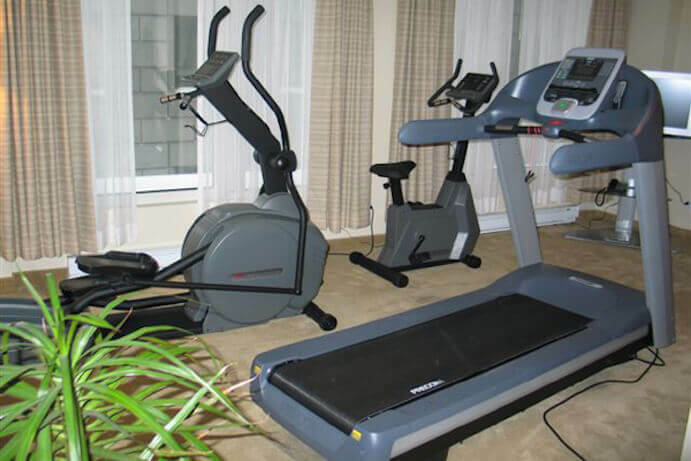 All the suites feature one or two high definition flat screen televisions, a fridge, and a microwave. 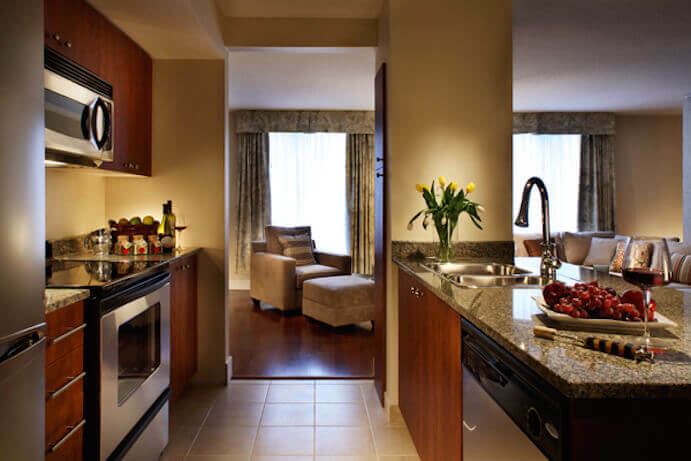 Many rooms also boast a full kitchen, a whirlpool tub and/or a separated shower as well as a fireplace. Free wifi is also available in the rooms. On the down side, some suites would benefit from a facelift. A free complete breakfast, cooked-to-order is offered to all guests. At night, enjoy animated conversations and refreshing drinks for free during the director’s cocktail hour, the Evening Reception. The decor is classic just like the rest of the hotel, if it is for its hallway and zen atmosphere, with wood-panelled walls, black granite floors and the indoor waterfall. Open 24/7, the Embassy Suites business centers offers computers, printers, and other equipment and services for businessmen. The meetings and events of 30 to 70 people can be organized in the space reserved for events, a room of 56m2 (600 square feet). Furthermore, the Embassy Suites is adjacent to the Montreal Convention Center. 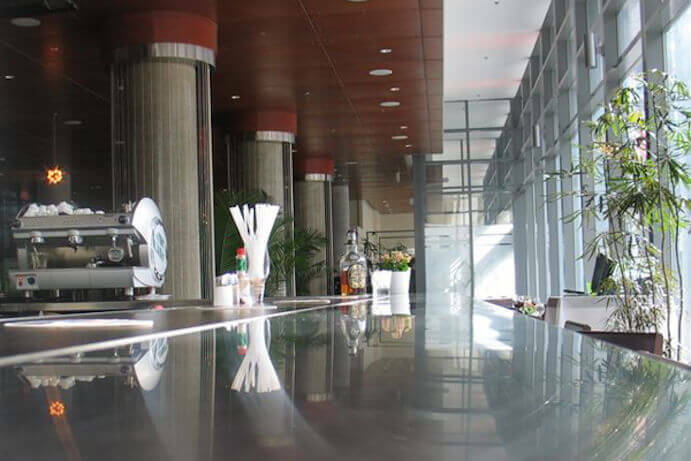 Located a few steps away from the Old Montreal and the financial district, Embassy Suites Montreal is a spot ideal for business guests and tourists alike. Also nearby are the Old Port, Sainte-Catherine Street and the underground city. Place d’Armes metro station (line 2 – Orange) is two steps away.